Do you ever love a certain type of clothing but never really wear it? It’s kinda like you love the idea of it but forget to actually wear it yourself? That is 100% me and kimonos. I’ve always loved kimonos but always forget to wear them and when I do I always wonder why the frick I don’t wear them more often. For me kimonos are very much an alternative summer layering piece to knits and hoodies, they bring a lil somethin’ somethin' to an outfit. I have a couple in my wardrobe but for one reason or another I just forget they are there, but I think I’ve finally found the kimono to help with that. 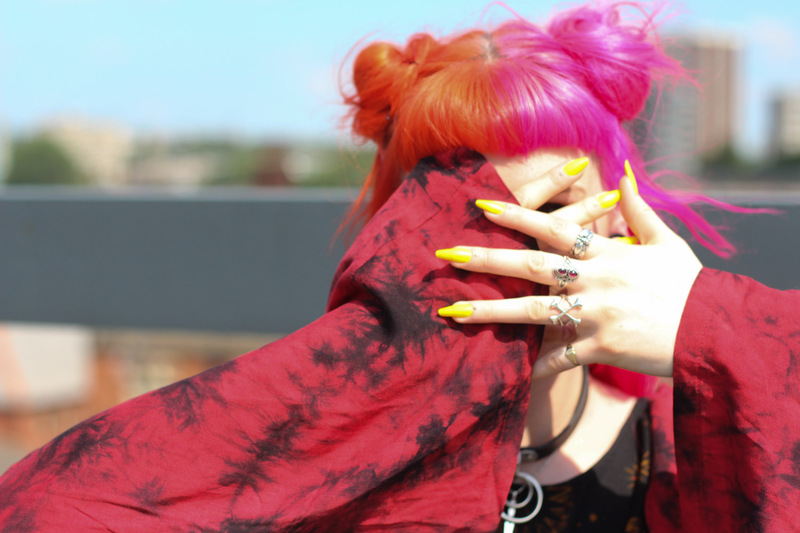 A few weeks ago I was very kindly gifted a kimono from Jawbreaker London. I was immediately drawn to it on the site and eagerly waited for it to arrive. When it came it was even better than I thought it would be. 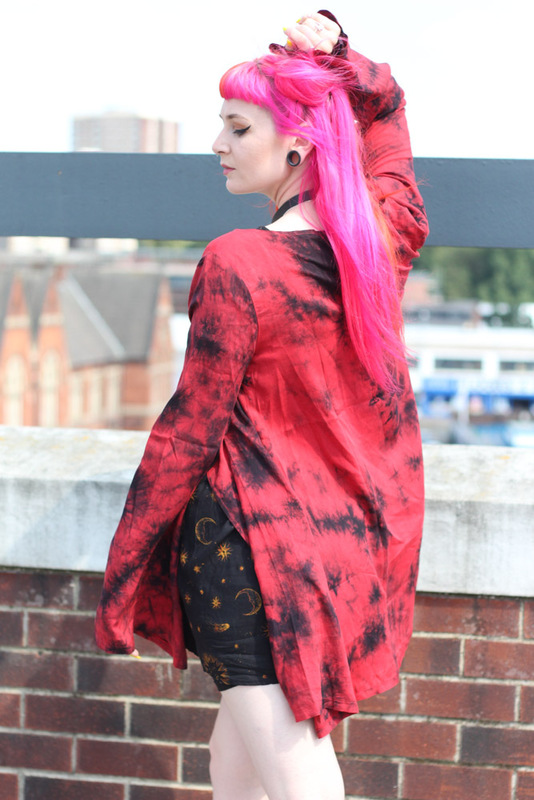 The red and black contrasting is super dreamy, as are the slightly fluted sleeves. 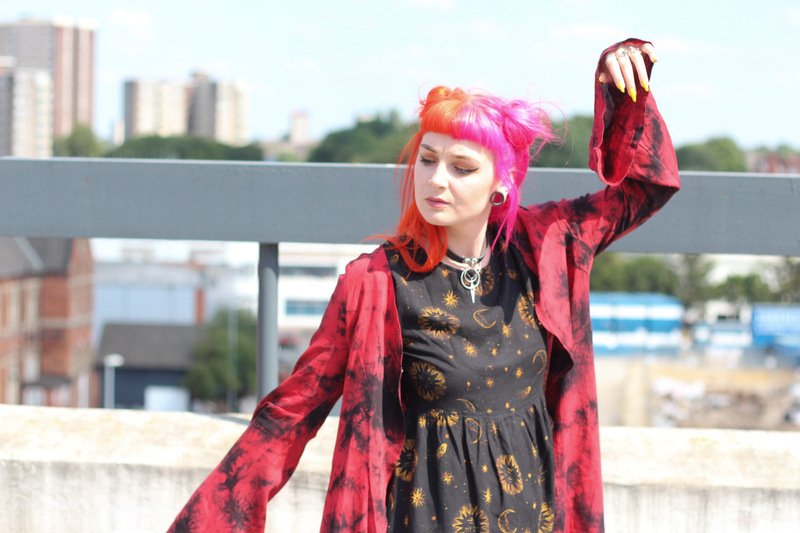 I wore it with my new celestial Motel dress I picked up in the sale and felt like a festival space witch hybrid - a vibe I can totally get on board with. Since the kimono's arrival I have worn it to death and kinda planned my outfits around it - can you blame me though?! 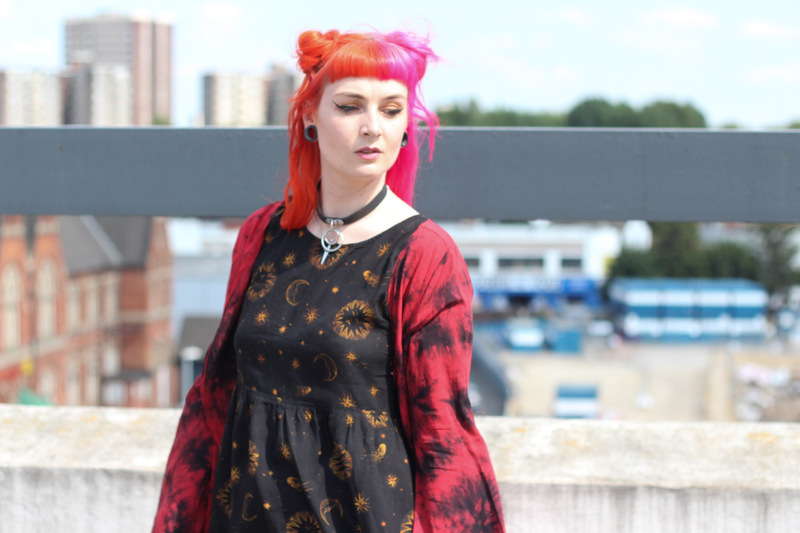 Kimonos are definitely a summer essential in my wardrobe and I need to make a conscious effort to take advantage of them whilst the weather is so good.